Today you guys get a preview of the project I’m working on. This month is Breast Cancer Awareness month and everywhere I look I see pink. 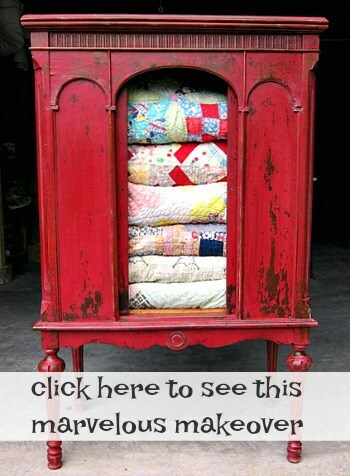 Is it any wonder I’m going for the pink with this furniture project. The JTS took several photos of me painting this piece. Recently I was asked by a company I’m doing some work for to send them some photos of me working on projects. Well, that’s a problem. You guys know I very seldom get in front of the camera. I’m much more comfortable behind it. 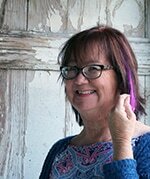 So this is a heads-up….you may be seeing more of me on the blog. The JTS is getting pretty good at using the camera. He sure comes in handy. He helped get this piece ready for painting too. It needed a few minor repairs. This is the chest of drawers I’m working on. Not much to look at now but just wait. These are my favorite paint brushes. I like Purdy® brushes because the paint goes on evenly and I get a smooth paint finish. I also like them because I don’t end up with brush hairs in my paint finish. I can’t tell you how crazy that makes me. 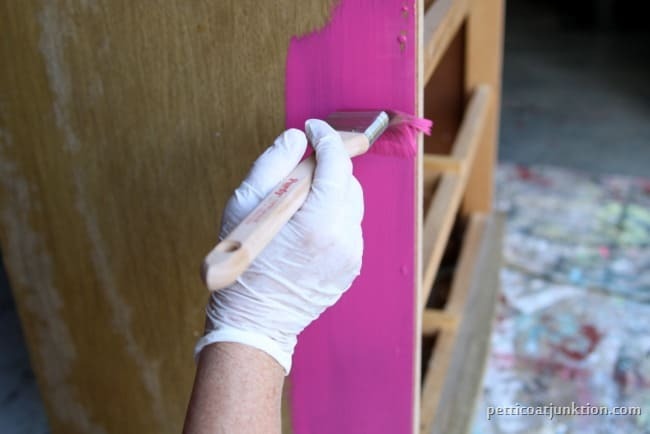 Have you ever painted a wall, trim, furniture, or anything else and spotted paint hairs in your paint? Once the paint is dry, that’s it! You have to pull the hairs out, sand the paint down, and repaint. I hate extra work. I use mostly angle type brushes. They work best for painting the detailed areas of furniture and for cutting in around ceilings and trim when painting a room. I wash my brushes as soon as I’m finished for the day and hang them to dry. 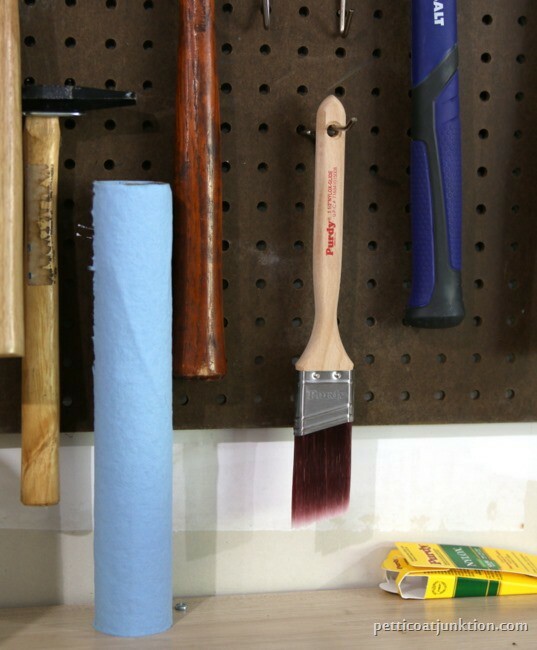 A good paint brush will last many years and many paint projects if you treat it right. What do you think of the pink? 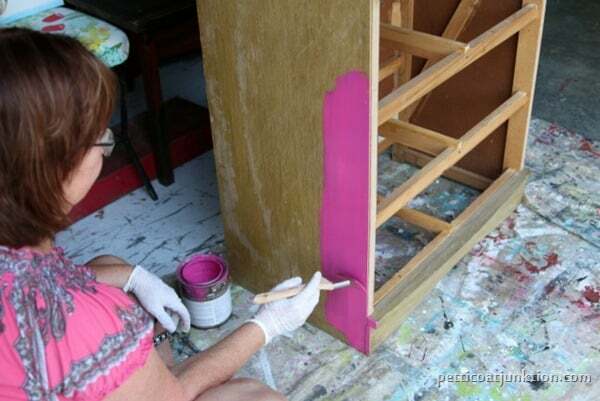 You guys know it’s not going to be a plain old pink piece of furniture. I’m not giving away any other details. I hope to have it finished by the end of the week. Find the Purdy® brushes . 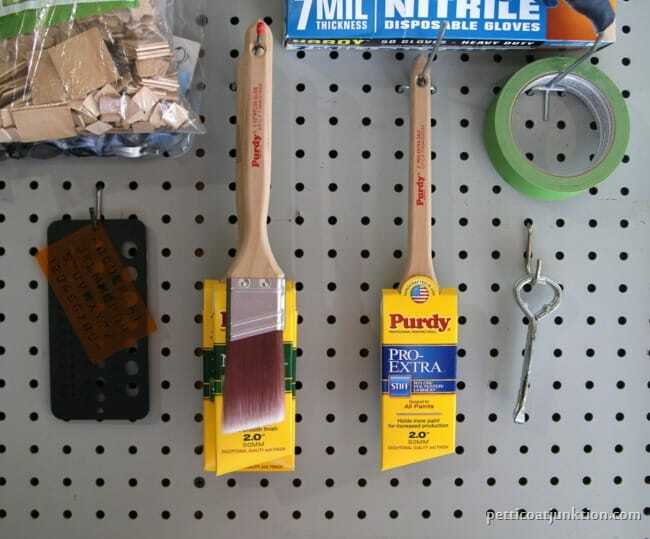 Product was provided by Purdy®. All opinions are my own. « How Do You Decorate For Fall? LOVE the pink color! Can’t wait to see what you’re going to do. And yes I LOVE my purdy paint brush too! Can’t imagine working without one. Chris, you just make me laugh and laugh. Where have you been? 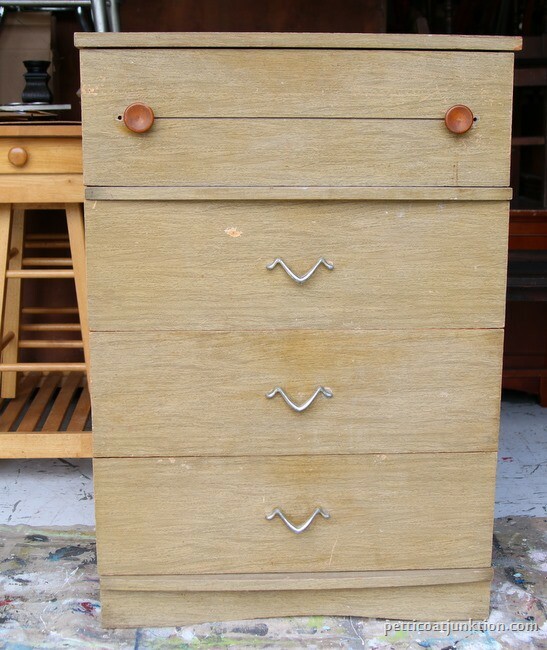 In the before pic of the dresser…….The dresser looks like it has a face and is definitely smiling! LOL Maybe it’s thinking how pretty it is going to be with its new ‘clothes’ on!!!! Can’t wait to see the finished product!! Anxious to see your vision completed. Oh, I received my LED Bright Stiks from GE and I love, love, love them. You were right they are amazing. Thanks again for the giveaways….it’s always fun to think you might be the lucky winner of something! I’d make that a campaign chest with the brass corner pieces…will be interesting to see what it becomes!